With normal lunch or dinner, dry roasted papad is served. With puris, deep fried papad is served. 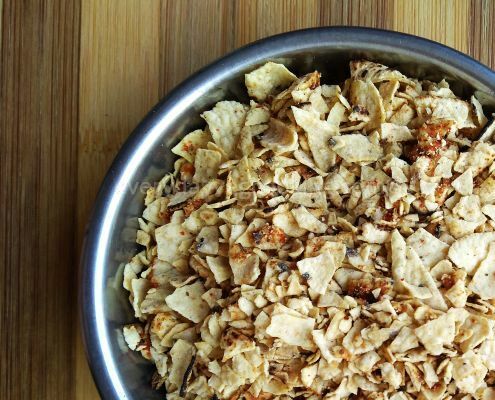 On special occasions, masala papad is served. On auspicious occasions and on festivals, papad ki churi is served. Lately, I have noticed at many Marwadi weddings crunchy, chatpati and delicious ‘papad ki churi’ with a smoky flavour is served as side dish. 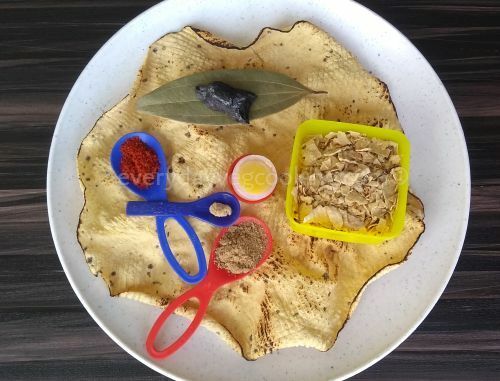 The recipe to make papad ki churi is very very simple and easy. One small piece of wood charcoal. Dry roast moong dal papad. Crush it into tiny pieces and keep in steel bowl. Drizzle desi ghee, sprinkle lal mirch powder and amchoor powder, mix well. Keep tej patta on papad ki churi. Heat charcoal on flame until it is red hot. 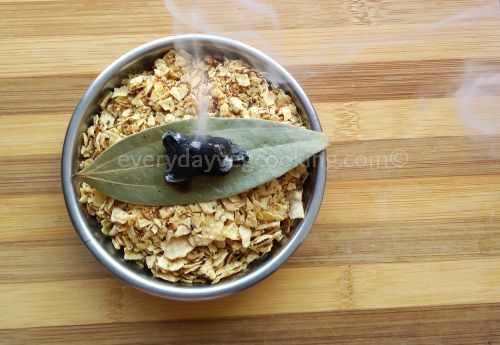 Immediately keep the red hot charcoal on tej patta (bay leaf), put a few drops of desi ghee on it and immediately cover the bowl with a lid and keep aside for five minutes. Remove charcoal and tej patta from the churi. Papad ki churi with a fantastic smoky flavour is ready to serve. Papad is already salty so there is no need to add additional salt. Add lal mirch powder and amchoor powder according to taste. This is sounds so easy-peasy and yummy. Pinning it. Thank you for posting the recipe. Papad is my all-season favorite. Thanks a lot Jheelam . Totally new item for me, seems delicious, bookmarked it. Papad ki churi is very popular in North India, thanks for bookmarking it, I am sure you will enjoy eating papad ki churi.